Our mission is to maintain a safe, healthy, and happy environment in which dogs may be dogs. We accomplish this through exercise, discipline, and affection, in that order. Bowhaus is looking for a few great people who are serious about about providing dogs with a healthy, safe, clean and fun environment. We are a fast-growing, fun, safe, upbeat daycare, and we take pride in the work that we do. We are known for our excellence in customer service and genuine care for our dogs. Our employees are team members, caregivers, role models, and pack leaders. Our pride in our work is what allows us to serve our customers, dogs, and community exceptionally. We are looking for a mature, responsible and highly motivated full-time daycare attendant who is seeking long-term employment. This is not a seasonal, summer, or temporary position. You must be more than just a dog lover. This is not a job where you just “play with dogs all day”. This is a physically demanding and mentally challenging position, but it can be fun and rewarding for the right person. We carefully screen potential employees to ensure the continuation of excellent service while providing a safe, fun, and stress-free environment. We value innovation and solution-oriented team members. We expect a lot from our employees, from supporting each other through communication to willingness to jump in and get things done. Working as a team means that your input is important to our ever-evolving programs whether it’s finding a more efficient way to do something, adding something new or getting rid of something that wasn’t working. Flexible on schedule (Must be able to work weekends, and major holidays) These are our busiest times! Knowledge of dog behavior and positive reinforcement is a big plus! Starting pay is $11.25/hr PLUS TIPS! Future raises will be performance-based raises as merited. If you think you would be a great addition to our team, please send your resume (with references) to goodtimes@bowhausboulder.com Please include in the subject line “Daycare Attendant, Boulder”. Why do you think you would be a perfect addition to Bowhaus’ team? 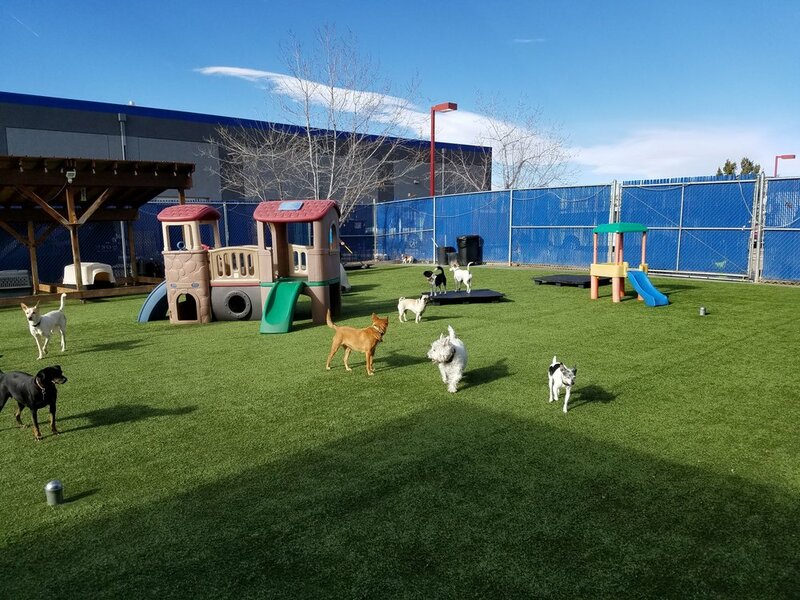 What is your experience with dogs (professional dog experience is not required) and why do you want to work in a dog daycare? What is your favorite breed and why? Emails without this information will not be considered. It’s your opportunity to allow us to get to know you! Coming soon.... more about the Bowhausers themselves!